Trust Webster's Mechanical Service to provide complete commercial HVAC maintenance and service in the Fairbanks area. Having worked in the industry since 1996, we know what to do to keep your business comfortable for your customers. Looking to put in a new AC? 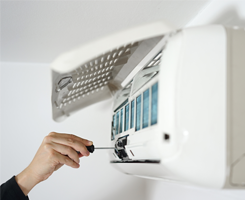 You'll find that we are one of the most affordable choices for air conditioner installation. We help small commercial locations stay cool throughout the Alaskan summers. 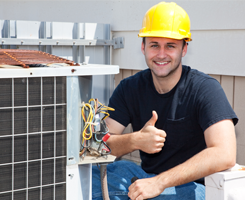 See how affordable HVAC repair and installation can be by requesting a quote on our services. Webster's Mechanical Service is the only name you need to know for all your commercial HVAC maintenance and installation needs. In business since 2013, our family-owned-and-operated company is fully licensed, bonded, and insured. We serve companies throughout the Fairbanks, Alaska, area. While other companies offer too much and do not specialize, we focus on delivering commercial heating and cooling repair and installation. We are members of a union, so you can count on all of our technicians being fully trained to maintain and install all heating and cooling systems. Get in touch with us to request a quote today.